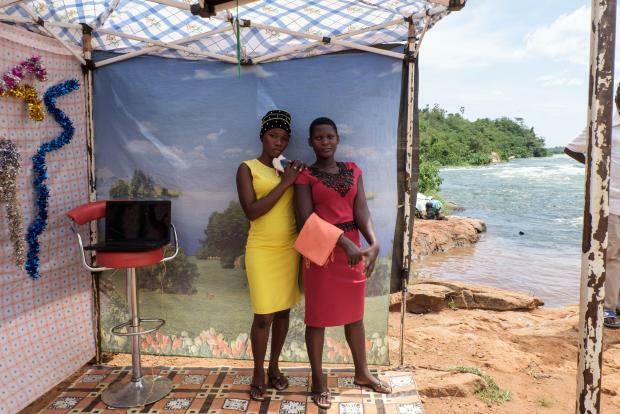 Women pose at a makeshift photo booth during the Nile River Festival 2019 in Jinja. Female Ugandan activists on Thursday slammed a government campaign to use "curvy women" to attract tourists to the east African nation. "Women in Uganda have been attacked while on the streets. What happens now is that the government is confirming a stereotype that women are sexual objects and can be touched regardless and more so made a product of tourism," she told AFP. She called for Kiwanda's resignation and demanded an apology from the government. Uganda's President Yoweri Museveni - who last year criticised fellow Ugandan Quinn Abenakyo for "wearing Indian hair" after she was crowned Miss World Africa - commented on the row. "We were encouraging Miss World Africa (Abenakyo) to market Uganda. If we do that are we right?" he said. "What we should ask is, should our children be involved in exploitative appearances? We should ask whether appearances are an issue," the president added. Former opposition leader in parliament Winnie Kiiza told AFP the move came "at a time (when) women face fear and stigma in a male-dominated society".